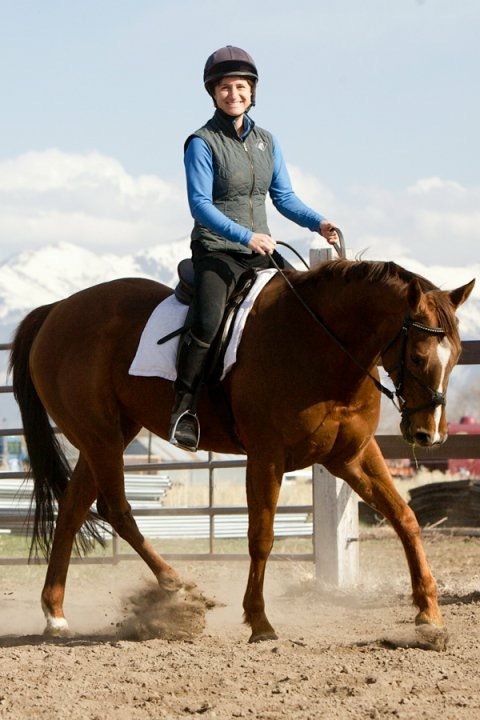 Kimberley is a Level II USEA Certified instructor specializing in Eventing and Dressage. She established 3 Peas in a Pony in 2006 and teaches at various facilities around Northern/Eastern Utah including Hunter Stables in Salt Lake City and North Fields Stables in Midway. Kimberley applies years of knowledge “from the field” to teach her own horses; successfully competing up through a preliminary level in Eventing. Kimberley has over ten years of experience teaching others, countless hours in the saddle, and years watching and learning from the best. Kimberley teaches all types of riders and works with a variety of different horses, with a specific emphasis on Eventing, Dressage, and Show Jumping. Sara attended her first Cowboy Camp at 10 years old, and it was true love! Once teamed up with Kimberley and 3 Peas in a Pony in 2008, Sara has turned her own ex-rodeo horse, Dime, into a steady schoolmaster through the Novice Level. Sara is now riding at the Training Level and has aspirations to compete at the upper levels over the next few years. In 2012, Sara served as a Working Student under the tutelage of Adrianna Silvestri and Agapito de la Cruz at A&A Equestrian in Santa Ynez, CA. During this time, Sara expanded her horse education to include a comprehensive and practical understanding of the care of the equine athlete. With 3 Peas in a Pony, Saraʼs determination and dedication have moved her quickly on to the teaching track and as of 2016, she is officially a Level I Training ICP Instructor with the U.S. Eventing Association’s Instructor Certification Program. Congratulations to Sara – we are so lucky to have her! Cara is a lifelong equestrian. Among her many accolades, Cara has competed through the CCI* level in Eventing, twice representing Area IX at North American Young Rider Championships; as well as being crowned First Level Dressage World Champion at the Morgan Horse Grand Nationals. 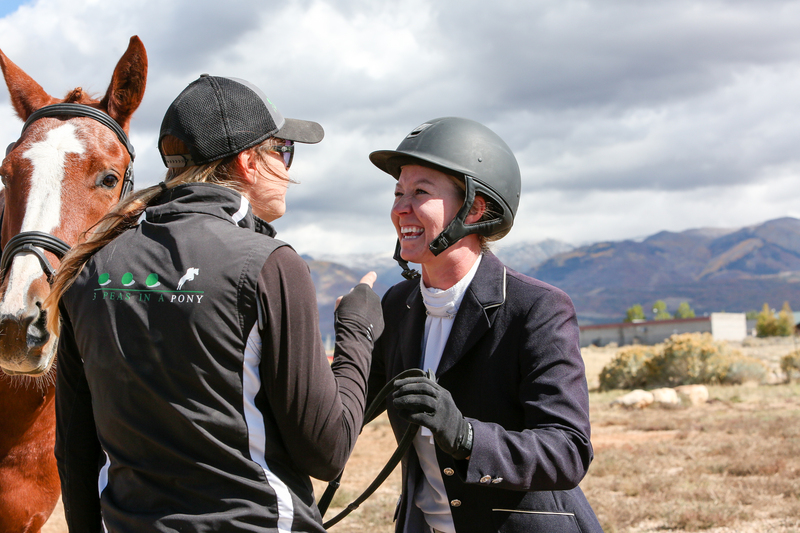 Cara is currently the District Commissioner of the Park City Pony Club and she excels in introducing 3 Peas’ youngest equestrians to a fun world of educated horsemanship. And when Cara’s not teaching, she still loves playing at the barn; Cara most enjoys riding with her kids on their family ponies: Superhero, Mia, and Princess.